Do Now 1. A new video game system is released just before Christmas, and everyone's "gotta have it. " As parents race to the store to buy the system for their kids, the price throughout December holds steady at $349. 99. 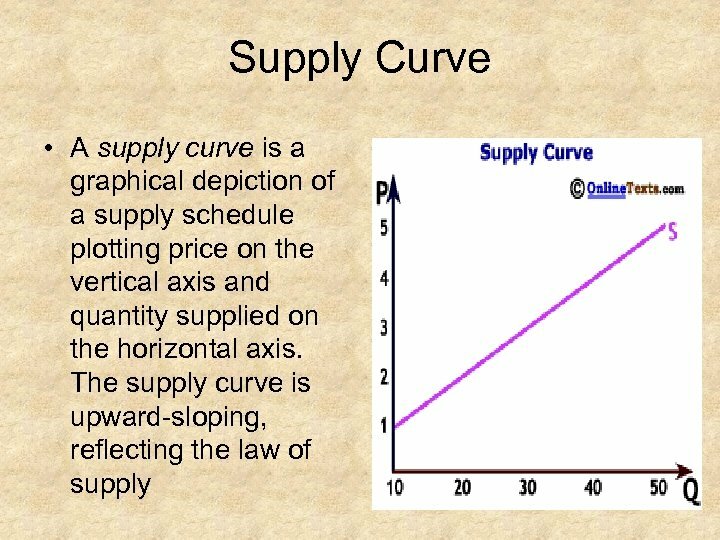 What do you think will happen to the price in January? …February? …June? 2. Local stores sell a fleece jacket for about $50. Sales of the jacket are good, but not great. However, when consumers learn that Lebron James wears this jacket, sales increase. 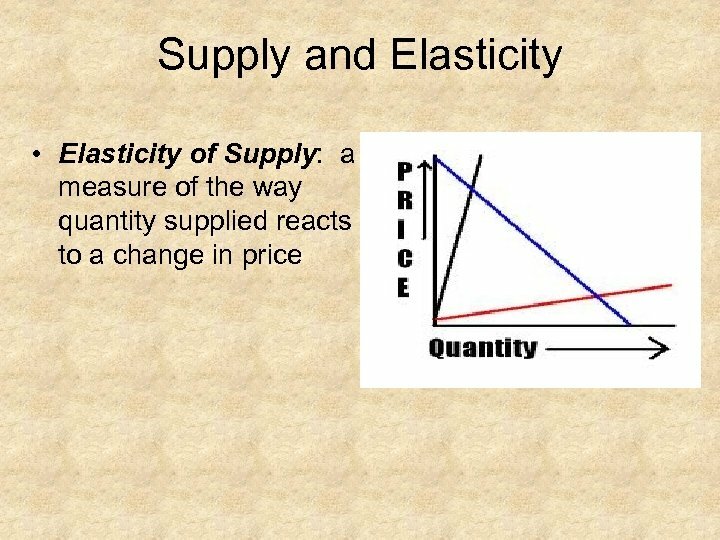 What do you think will happen to the price? 3. When a motorcycle manufacturer announces that it will no longer make its most popular model of bike, what do you think will happen to the price of the bike? 4. Mrs. Taylor sells chocolate molasses cookies. They are delicious, and she is the only one in town who makes them. However, when Ms. Brown moves to town, she begins to make cookies, without any difference in quality or beauty from Mrs. Taylor's cookies. 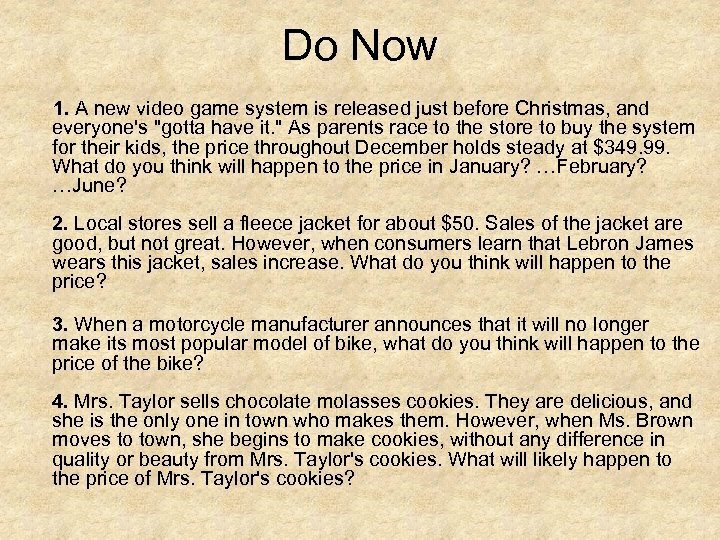 What will likely happen to the price of Mrs. Taylor's cookies? 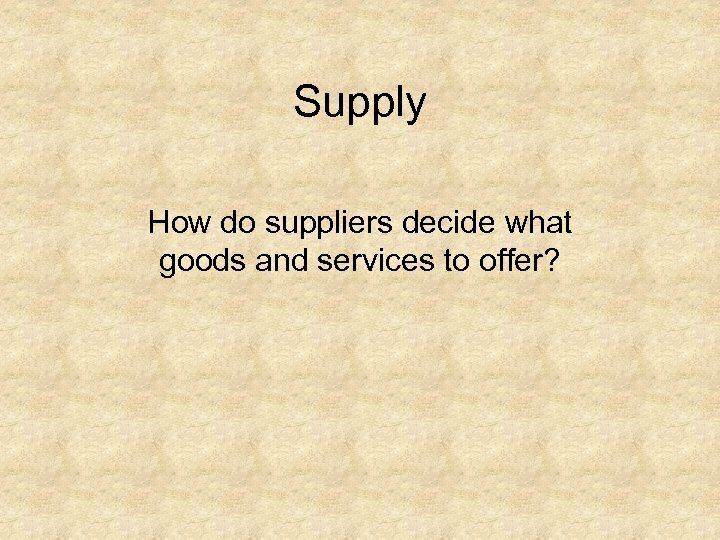 Supply How do suppliers decide what goods and services to offer? 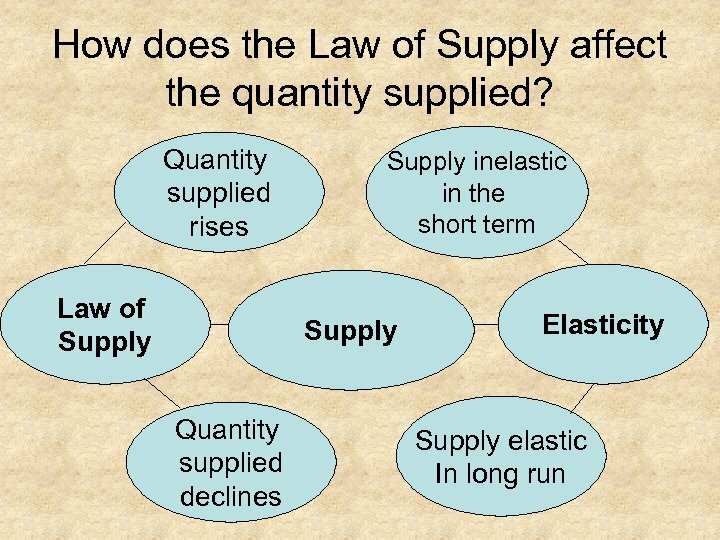 • Supply is slightly more difficult to understand than demand, because most of us have little direct experience on the supply side of the market. 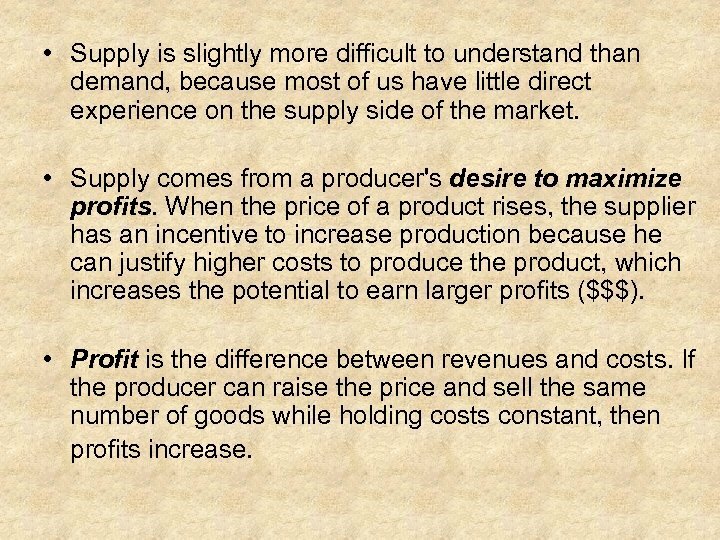 • Supply comes from a producer's desire to maximize profits. 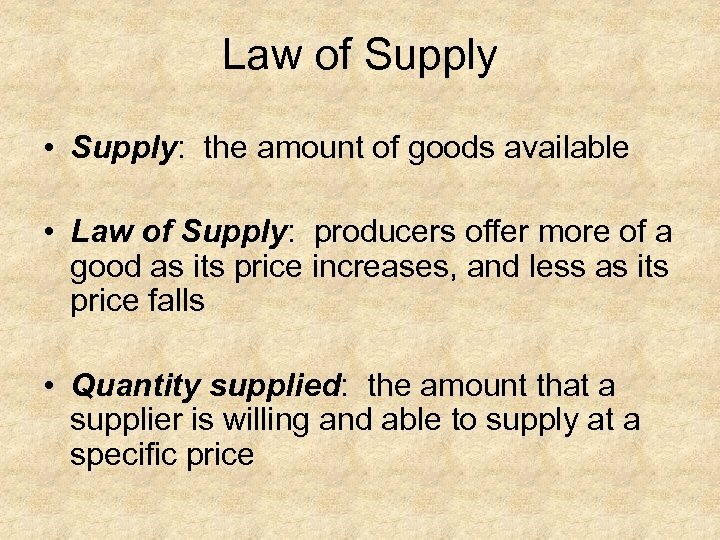 When the price of a product rises, the supplier has an incentive to increase production because he can justify higher costs to produce the product, which increases the potential to earn larger profits ($$$). 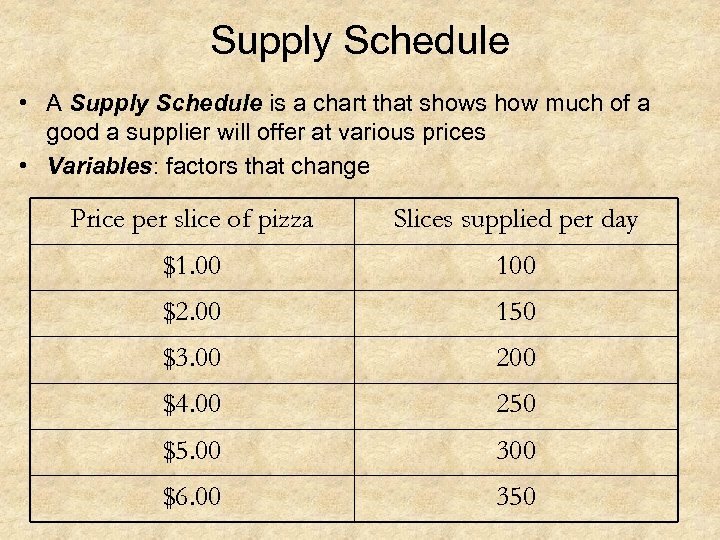 • Profit is the difference between revenues and costs. 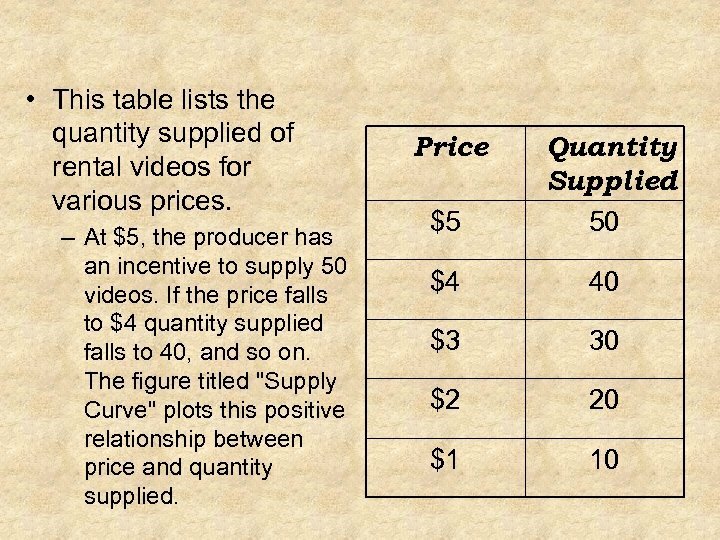 If the producer can raise the price and sell the same number of goods while holding costs constant, then profits increase. 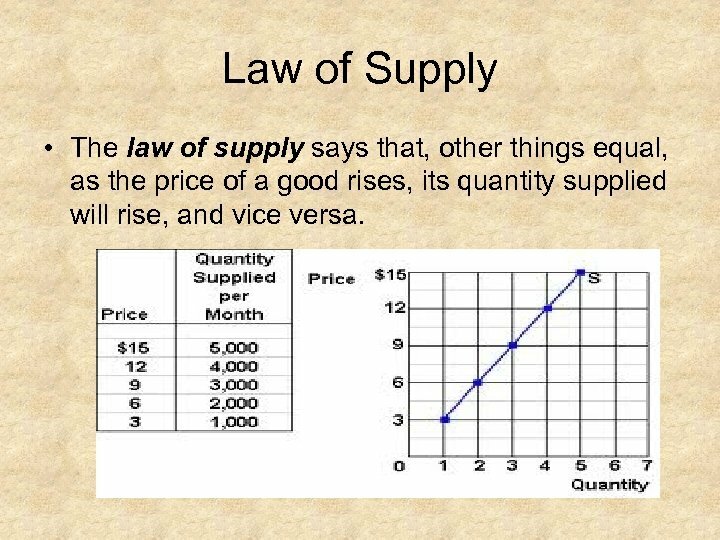 Law of Supply • The law of supply says that, other things equal, as the price of a good rises, its quantity supplied will rise, and vice versa.